One of the best ways to keep mosquitoes away is to prevent them from ever getting to the biting stage. Using Mosquito Dunks or Bits in areas of standing water, tire swings, ponds and bird baths keeps mosquito larvae from maturing into biting beasties. 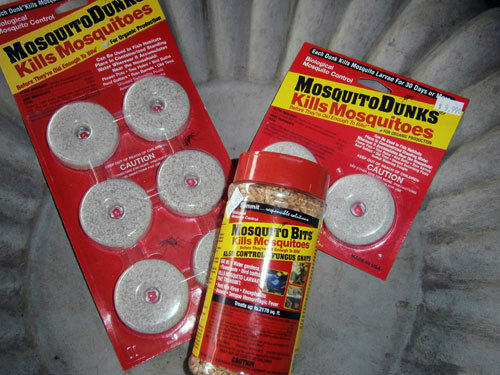 Mosquito Dunks are made with the organic biological control BT (Bacillus thuringiensis) and is safe for pets, birds and fish. Other ways to prevent the pests? Keep the lawn mowed and weeds under control. Mosquitoes love to hang out in tall grass. Clear up any old brush piles or refuse where mosquitoes can hide. Clean out doggie/kitty water dishes frequently. Ok here's where the garlic comes in. Repellents are a great organic option for keeping mosquitos away. Keep in mind that repellents do not kill these guys, it just deters them. Many are made with natural oils such as cedar, thyme, mint and you guessed it, garlic. These products are best for things like, "I'm having a barbecue tomorrow and I gotta do something!" Try I Must Garden's Mosquito, Flea and Tick Control (liquid spray) or Dr. T's Granules. You can also use citronella products like candles or incense. Plus they smell nice for an event! Try andiroba and citronella oil candles, incense sticks or cones by Amazon Lights. What about plants like citronella geranium, rosemary , lemon grass, mint, catnip and marigolds? Well, they look pretty... and they smell nice! While some of these plants do produce mosquito repelling scents, it's not as effective as we wish it was. It's just not the same as using a repellent. If you want to try it, plant these near outdoor spaces you will use the most. Frequently brushing up against these plants will release the fragrance, so walkways and potted patio containers in seating areas are good choices. Ok, so they're swarming you on your way out to the car? You need something more heavy duty. This is where an insecticide is needed. Products in which the main ingredient is Permethrin, Bifenthrin or Lambda-Cyhalothrin will take care of those boogers. Not only will it kill them if they happen to be flying about while you're spraying, these sprays have a residual effect as well. This means that when a mosquito lands on a treated surface, it'll still get zapped. You may need more than one application, but don't go crazy. Wait 7-14 days before another treatment. You'll want to spray under decks, shrubby areas, along foundations, fence lines and in the yard. 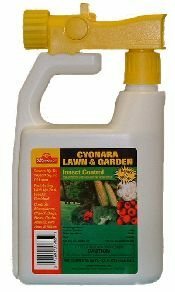 Try Cyonara or Fertilome's Broad Spectrum Insecticide. 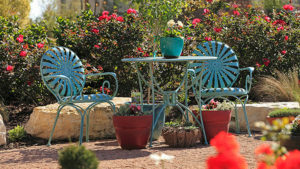 All of the products mentioned in this article are available at The Garden Center. Come by and we'll show you your options. Hopefully these tips will keep you bite free for the rest of mosquito season and you'll be plenty prepared for next summer!